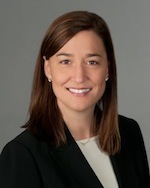 Lyn B. Dodson joined Katz Wright Fleming Dodson & Mildenhall LLC in 2007. She was admitted to practice in Mississippi in 1998, and in Georgia in 2005. Prior to joining our practice as law partner to Robert Katz, Ms. Dodson worked for a defense firm in the Atlanta area, and she previously practiced general civil litigation with a Jackson, Mississippi firm following a clerkship with former Mississippi Supreme Court Justice Michael P. Mills. She is a graduate of the National Institute of Trial Advocacy, Trial Advocacy Skills, 2003.